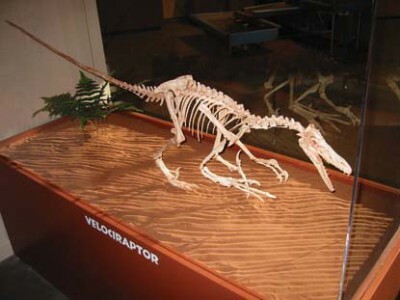 Dinosaur Journey is a regional paleontological and geological museum that tells the story of the history of life in western Colorado and surrounding areas with real fossils, cast skeletons, and robotic reconstructions of dinosaurs. The hands-on, interactive museum includes over 15,000 fossil specimens in its collections, exhibits and displays featuring discoveries from the region, a viewable paleontology laboratory where dinosaur bones are prepared for display, an earthquake simulator, a dinosaur library reading, a sandbox for making your own dinosaur tracks, and a “quarry site” where kids can uncover actual Jurassic dinosaur bones. 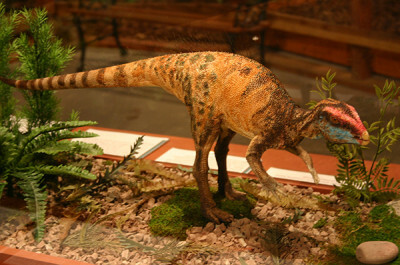 The exhibition hall features fossil bones of dinosaurs such as Apatosaurus and Allosaurus, along with robotic reconstructions of Dilophosaurus, Utahraptor, Triceratops, Tyrannosaurus rex, and Stegosaurus. See life-size cast skeletal mounts of Velociraptor, Camarasaurus, Allosaurus, Stegosaurus, Othnielia, Camptosaurus, and Mymoorapelta. Compare your size to that of the shoulder blade of a Supersaurus, or compare the size of any dinosaur bone to that of Amphicoelias fragillimus, a dinosaur that dwarfs all others. See the tiny Jurassic dinosaur Fruitadens and compare it to other dinosaurs that lived at the same time, such as Apatosaurus, a dinosaur that was perhaps a million times heavier than Fruitadens. We also have on display a large Triceratops skull, perhaps one of the largest specimens ever found. These exhibits plus dinosaur tracks, rocks, minerals, meteorites, fossil fish, and much much more are waiting at the Dinosaur Journey Museum! Want to be a paleontologist for a day? Join the Museums of Western Colorado’s Paleontology Division at the Dinosaur Journey Museum as we explore and discover the richness of this region’s prehistoric past! More than just viewing sites, many of our expeditions are discovering new information about the ancient life forms that used to roam what is now Colorado and the American Southwest. The very popular dinosaur adventures include excavating, prospecting, hiking, rafting, touring, and prepping fossil specimens. For more information, go here! When you visit us, make sure you check out our Gift Shop! 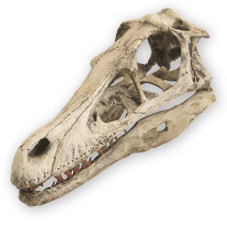 We have a wide variety of really cool items – fossil casts of local finds made by Dinosaur Journey volunteers, mineral specimens from Ron’s Rock Shop, books, games, t-shirts, paleo art. And now, with the holidays, we have special ornaments and great stocking stuffers! While we don’t have online shopping set-up at this time, you can get a taste of what we have!